Intercooler air temp mounting weld flange (aluminum) for 2013 Focus ST 2.0L. When replacing the stock intercooler, the sensor has to be placed onto the new intercooler or charge pipe. This flange is required to get the job done. 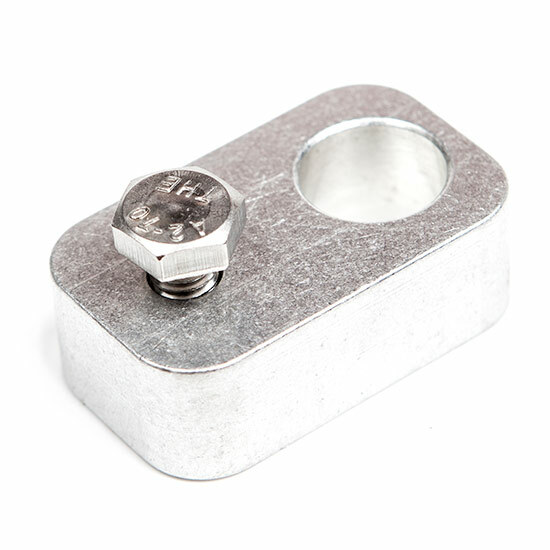 - Use this flange to weld to your NEW INTERCOOLER or charge pipe elbow immediately after the intercooler. - Once you remove your factory stock (plastic) intercooler, unbolt the sensor from it and move it into the new flange on the new location. - Make sure you weld this mounting flange onto a spot on the intercooler or elbow that is close to the factory location so the wire length is not an issue. - If you do not want to weld, you may use product code: ATP-FOC-016 which is an elbow with this flange pre-welded. *** This flange is not made to fit the sensors that are further upstream such as the one mounted at the intake manifold.